For the past two summers, I have rented a car in Italy. Not only do I feel a little more local when I do this, but it also allows me to see the smaller towns that I wouldn’t have seen otherwise. Don’t worry about driving in Italy isn’t as scary as people make it sound and Italian road trip is one of the best road trips! Renting a car in Italy is easy. I would recommend using Auto Europe, click here to check rates. I used them the last time I rented a car in Italy for the month, and they offered the best rates. Rome is my starting point for renting a car because I cannot drive a manual transmission and there are more automatic cars available in Rome. Also, the rental desks are open until midnight. If you want to spend time in Rome, then I recommend renting the car after your time in Rome as parking in Rome is difficult and expensive. Once you arrive at the Rome Fiumicino Airport and rent your car, get on the road to your first stop or stay the night to rest up. If you come late in the day or are jet-lagged, I recommend spending the night at the Hilton Rome Airport. It is a short walk to the terminal and will allow you not to have to rent the car right after getting off the plane. 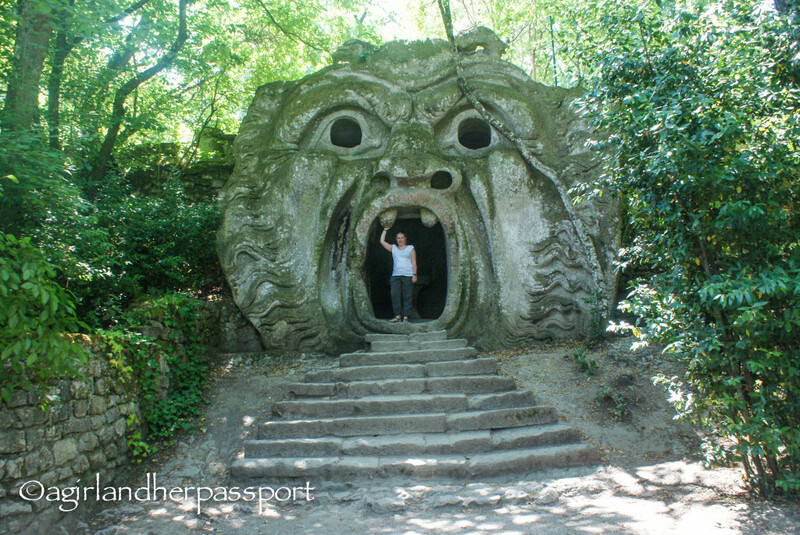 The first stop is the Parco di Monstri in Bomarzo, about one hour and a half from the Rome airport. This historic park is full of scary and wacky sculptures. 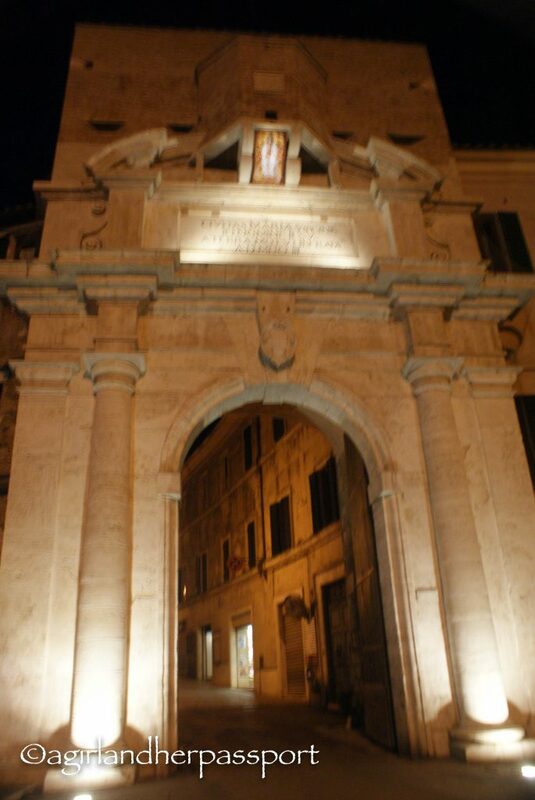 Built by Pier Francesco Orsini in memory of his wife, Giulia Farnese in the 16th century. Both from well-known Italian families. The park is only accessible by car, so it is a must do while on a road trip in Italy. Allow 1-2 hours to explore the whole park. The next stop is Amelia, which is only about 45 minutes away from the park. Amelia is one of my favorite towns in Italy, and some say it is the oldest city in Umbria. The walls are ancient and in fantastic condition. There is an archaeology museum and many beautiful churches to explore. For dinner, I recommend La Locanda del Conte Nitto, which has beautiful food and views of the ancient streets of Amelia. 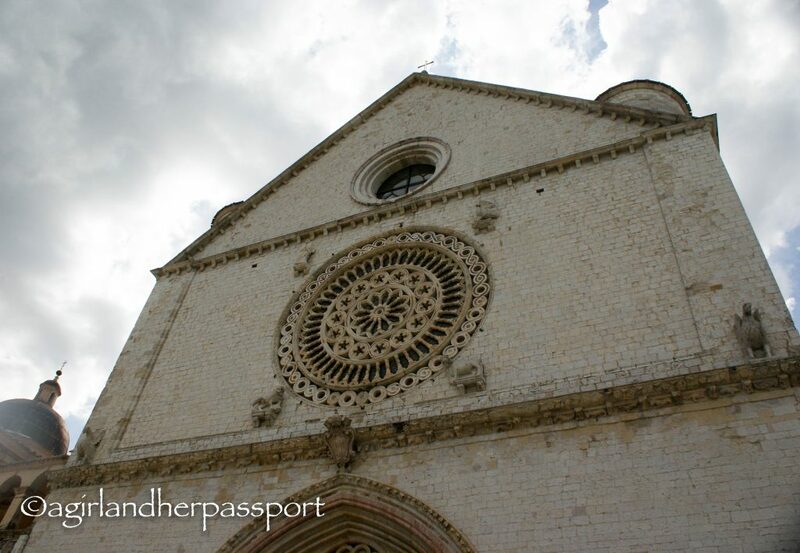 Spend the morning finishing exploring Amelia and then head to the town of Assisi. 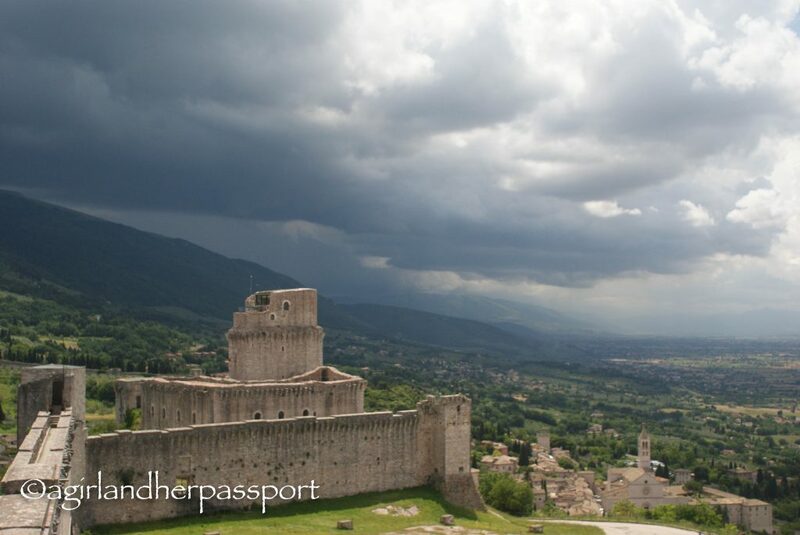 If Assisi sounds familiar, it is because it is where St. Francis of Assisi was born. At the end of the town is the famous Basilica of Saint Francis of Assisi. The Basilica is stunning with views outside of the surrounding valley and colorful frescos inside. I recommend going early to beat the crowds. After that walk, through the town to the other side and head to the Rocca Maggiore. The Rocca Maggiore is the town’s ancient defense fort and overlooks the whole area. If you head to the top of the tower, you get an even better view. Stay the night in Assisi. You will want to, after all that walking. 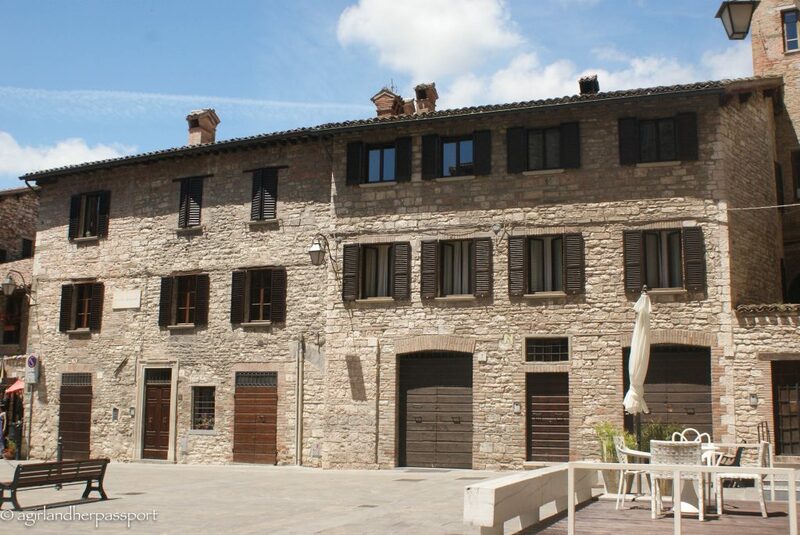 There is a public car park near the Nun Assisi Relais & Spa Museum hotel, which is the hotel I recommend in Assisi. Not only are the rooms in a historic nunnery, but the hotel has a spa located in the Roman baths below. You can get a massage till eight at night, which is just the cure for your aching feet. Not only that you can eat with great views at the in-house restaurant of Eat Out, where the menu is seasonal and local. After enjoying your breakfast in Assisi, take the short drive to Perugia. Perugia is the capital of Umbria. It is known for its celebration of the arts. The highlight here is seeing the underground fortress, Rocca Paolina. The fort was started in 1540, and most of it was destroyed by the 19th century. Now you can explore the cellars and basements that are still standing. Find more history on the short drive to Gubbio. Gubbio is a town built into the side of a small mountain and makes for stunning views of the city and the valley below. Due to it being integrated into the side of the mountain, you can take elevators from different levels of the town. There are tons of things to see in this city, but the architecture of dark gray stone buildings is intriguing and makes you feel like you have stepped back in time. 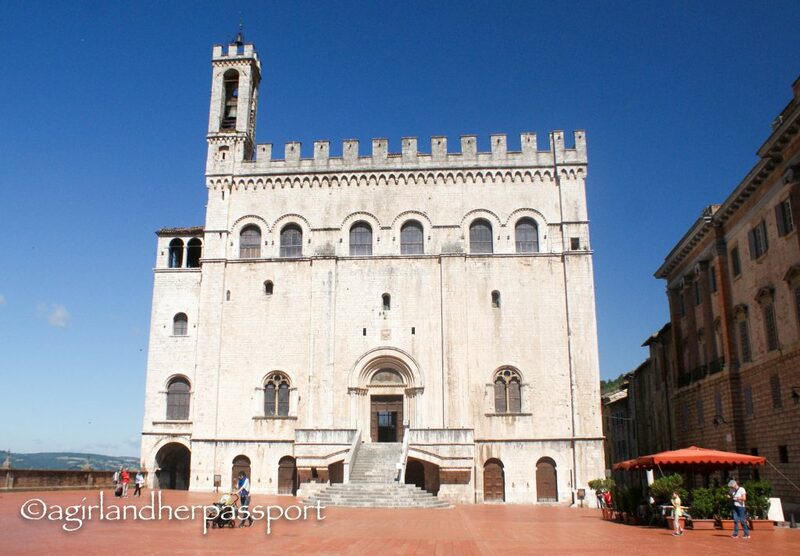 Make sure you make it to the top level of the town to see the Cathedral of Gubbio. It has a stain glass window that is gorgeous. The views from up here are almost a must see. If you are really brave, you can take the funicular up to the Basilica of Saint Ubaldo. Spend a few hours in the morning exploring the things you didn’t get to see yesterday in Gubbio. Don’t forget to see the Palazzo dei Consoli built in the 14th century with running water. Then make a long drive to Siena. You are now in Tuscany! The entire historic center of Siena has been declared a UNESCO World Heritage Site. The highlight of this is the Siena Cathedral with its amazing gothic architecture. Then make a long drive to Siena. You are now in Tuscany! The entire historic center of Siena has been declared a UNESCO World Heritage Site. The highlight of this is the Siena Cathedral with its amazing gothic architecture. If you go to Siena in the summer, try to be there around the historic Palio di Siena. It is a medieval horse race that takes place in the Piazza del Campo. Who doesn’t want to see men ride horses through an ancient town in costume! Given the short drive from Siena to Florence, you can spend the morning in Siena before heading to my favorite city in Italy, Florence. You will begin to see the rolling hills of Tuscany on this route. Driving through Umbria has you driving through the mountains, but now you will drive between them. 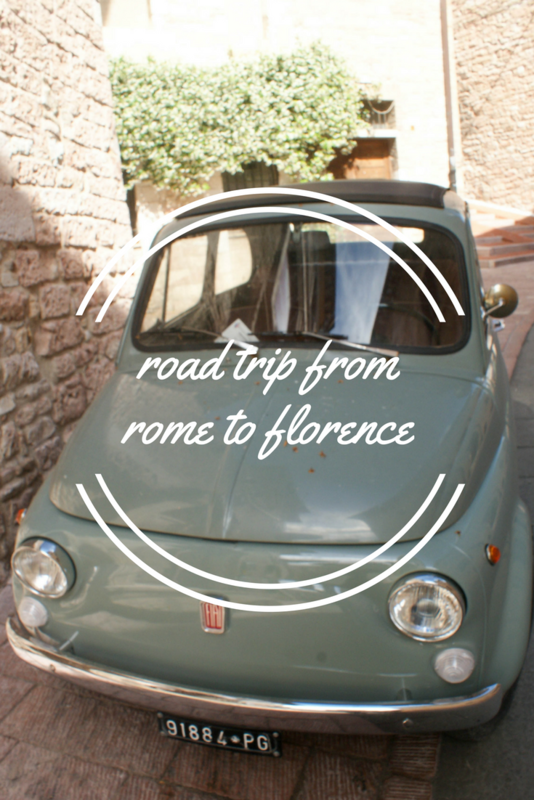 In Florence, you will return your rental car as driving in the historic center of Florence is limited to residences and can carry hefty fines if you do. Parking is also expensive. You will most likely have to return the car at the Florence airport. You can then take a taxi or the “Vola in Bus” shuttle, which takes you to the Florence train station. 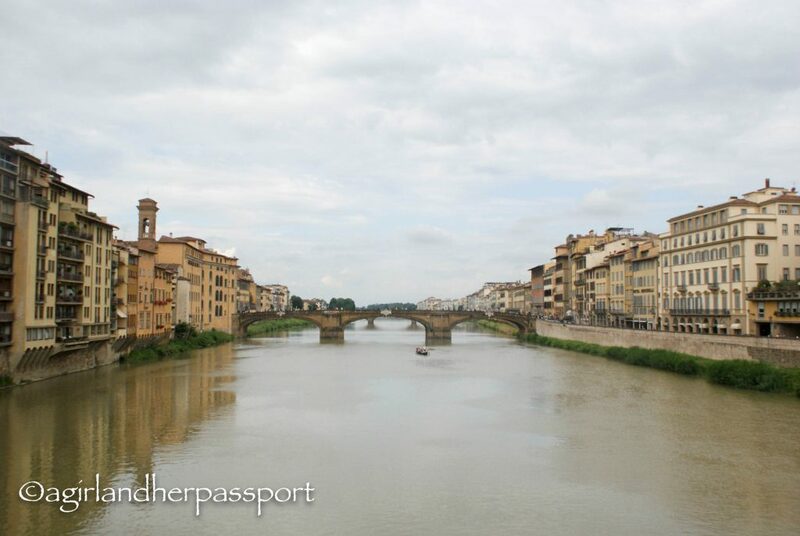 There is so much to see in Florence, so you will need a few days to see it all. But on this first day, I recommend finding a museum that interests you and only do that on the first day. This way you won’t wear yourself out and can enjoy Florence to the fullest. I recommend the Hotel Plaza Lucchesi in Florence. I have stayed here on every trip I have had in Florence, check rates here. Book tickets in advance and see the Uffizi Gallery on the second day. You will avoid the long lines to get in this way. The Uffizi Gallery has something for every art lover. Be sure to see Botticelli’s Birth of Venus while you are there. 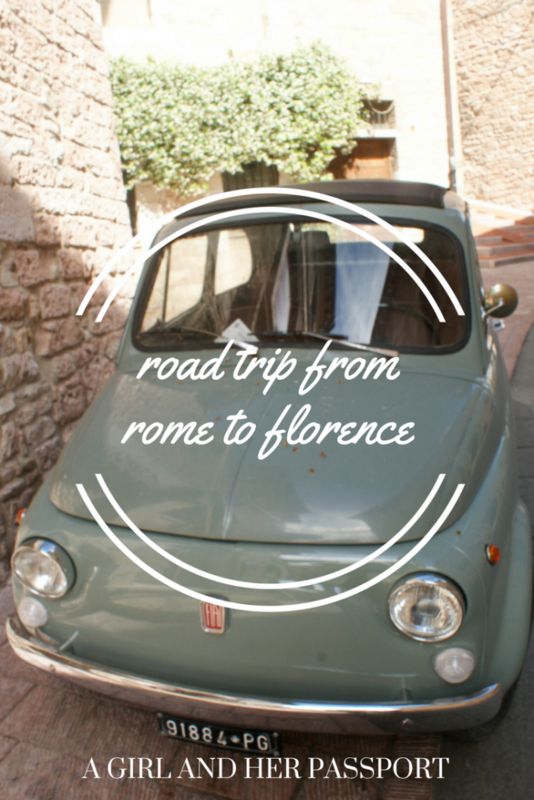 Have you gone on an Italian road trip, what was your favorite place? Share with us in the comments. Paying Entrance Fees to Religious Sites? I enjoyed this trip via your blog!! Thanks for letting me tag along ? Thank you. You are welcome to tag along anytime! Tiffany, haven’t as yet done an Italian road trip, are my nerves as tough as nails NO 🙂 Love Italy and have visited a few places. Bologna and Florence the favourites. It really isn’t that bad. Once you get used to it, I am sure you would be fine! Florence is my favorite. I haven’t made it to Bologna yet. One day… One day..! It looks gorgeous! Great trip I love the gardens at Bosco. My character Finn does the reverse trip in Letters to Strabo. Thanks. Will have to check them out! I went to Florence and Pisa when I was young and single! Would love to back with Neil and Isla. And next time, Naples where my Nana’s family was from. Italy is a big part of my heart! Sounds like a great trip! I hope you go soon. I didn’t want to read this post, because I knew I would be jealous, but it actually brought back happy memories. It’s half a lifetime since I was in Florence and I loved it. I spent a week visiting churches and museums and eating focaccia and pasta. I was in Sienna more recently and you’re right, it’s great fun being there on the day of the palio. Although we didn’t see the race, we saw the men and horses in their costumes in various parts of the town. Then we saw them gathered in front of the cathedral. So happy it brought back good memories. Florence is my favorite! That would be so fun! A dream adventure for me! Myself and my partner have just come back from a week in Italy, we did Rome, Florence, Pisa and Venice. It was amazing! We travelled by train and bus which was super easy and efficient, much better than public transport in the UK! I absolutely loved Italy but there was too much to see so we’ll absolutely have to go back, I’ll use this post as inspiration of other places to go and things to see!! Sounds like you had a great trip. I just love Italy. The trains in Italy are so easy! Please let me know if you need any help planning. Thank you! That means a lot. Thanks for your additional tips! That would make a great road trip! I think you may have inspired another trip to Italy for me. Sounds like a great road trip. Not visited Florence but love Rome. Just returned from 2 months in Umbria so know all about the Italian driving style. Great photos. I love Umbria! It’s so beautiful. My favorite place in Italy was a tiny town, Orvieto, up in the mountains between Rome and Florence. It is the quintessential small Italian town. Oh Orvieto is great and could easily be added to this trip. Have been to Italy twice. When we go it is usually for two weeks so try and concentrate on a smaller area. The drive looks amazing and few places I have never seen. So much history. I feel like I could go a million times and not see everything. Glad that wine and gelato made everything better. I got a chance back in the 90s to explore Northern Italy but we only went to Milan. I really need to go back and explore Venice and the islands. Sorry you didnt find George but Lake Cuomo is beautiful. Wine and gelato make everything better! I haven’t been to Milan yet and I want to go.